So, pretty much every place I’ve lived in Queensland is flood-affected at the moment, to some degree, and a whole bunch of friends and family are facing different challenges as the storm plays out and damage is assessed. My old neighbour, dear Bundaberg, and surrounds have been hit hard. Donations are being accepted by the Red Cross to help the hundreds of people who have lost homes to tornadoes and floodwaters. You can give here. The storm cell is affecting northern NSW as well … only two years after the state was hammered by cyclones and flooding, they’ve been hit again. My Sunday was spent at Oz Horror Con, as a guest of the Australian Horror Writers Association, and it was fun, and I hope it happens again next year, bigger and better. As one might expect from a first event, it had its share of squeaky hinges: a non-accessible venue, for instance, and a touch of confusion in the organisation, and from the outside, an ad hoc marketing campaign. We writer types were largely based in an upstairs room, echoing in its emptiness, a closed door making it even harder for those arriving to be aware of our existence. So that’s some of the negatives that can be easily addressed next time round. The big blow, in having marquee author Ramsey Campbell inability to attend, was unfortunate in the extreme. The positives largely outweighed what amounted to teething troubles: the venue, the Donkey Wheelhouse, had wine cellars that would make a Hammer Horror stage designer drool. Not so easy if you’re mobility impaired even when the elevator works, but creating the right atmosphere, even if you need a lot of signage to help folks navigate (and find that upstairs room). It also had an excellent pub directly across the street and Spencer Street Station (oops: Southern Cross) nearby, too. The variety of exhibitors was most excellent: make-up artists, funky sculptors and jewellers, talented graphic artists, purveyors of weird stuff. Throw in a bunch of wonderful cos players and you’ve got atmos coming out the wazoo. More bodies would’ve added to that atmosphere, and one can only hope that word will spread, attractions will grow, and the audience will increase. The panels, and they were many and varied, were well attended by an informed and interested audience; occasional zombie screams penetrating the bricks and steel door just added to the fun of it all. As it was, Oz Horror Con was a very friendly event, a wonderful opportunity to meet other creatives and talk shop, in a relaxed environment. It has laid the foundation for a major cross-platform horror-themed gathering with numerous options for further synergies with filmmakers and other genre and literary events, a night program perhaps; indeed, the AHWA was a noticeable participant in the program this year, and it was pleasing to see its banner (or at least, some posters) flying. Oz Horror 2014? Bring it on. 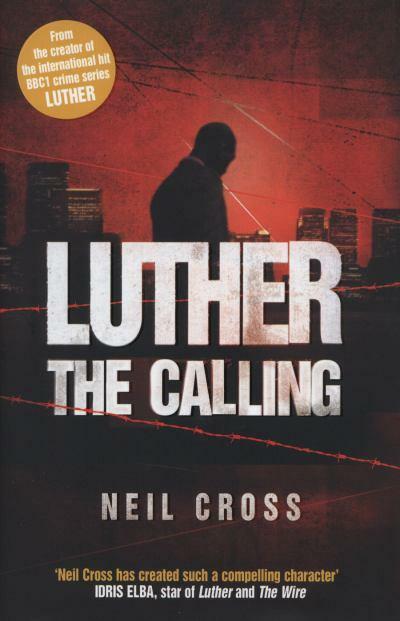 Influenced by both the superb television mini-series and a review by Karen Brooks, I picked up the novel Luther the Calling by Neil Cross. It’s the prelude to the TV show, ending where the show begins. And it’s brilliant. Cross wrote the screenplay for the show, then, influenced by the performance of Idris Elba in the titular role, wrote this novel with that performance in mind. He nails Elba and his co-stars to a tee. But that replication of the screen isn’t the winning element of the novel. No, it’s the writing, and the characterisation, the insight; it’s the use of small details to paint a big picture, of crafted prose. Much of the book is told one point of view to a scene. I like that: it’s clean, I can ride along with the character. And then, there’s this one violent moment. We are led up to it knowing what’s about to happen, following each character, four or more, walking and driving and living, and then they intersect and — bam! One par each, bang-bang-bang. It’s the stuff of adrenalin and chaos and works perfectly, guided no doubt by that screenwriter’s eye for cut scenes. I knew how this book would end, that final scene, and it didn’t matter one jot. The characters carry me through their sublimely drawn landscape toward the inevitable moment with the clock ticking ever faster. Superb. 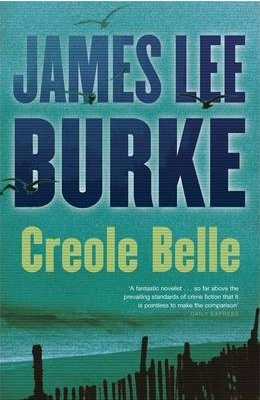 And then there’s Creole Belle, number 19 in a series about detect Dave Robicheaux in Louisiana, from the pen of James Lee Burke. He writes in the first person from Dave’s point of view, tired and insightful and often bemused and confused, an author and a character who show their age on the page. He also writes about other characters in the third person, but from Dave’s omniscient view. It’s problematic, but I went with it, because the voice is as compelling as the flow of the Mississippi, and I love that part of the world and Burke brings it alive. He uses landscape, lushly drawn, and history to backdrop his story and to mirror his character’s state of being. With the weariness of the veteran solider and cop, he offers commentary on the state of the world and how it got where it is, bad or good, and where he thinks it might be heading. He’s a cool guy to hang around with as he tries to solve an apparent kidnapping that leads to far much worse, a state of corruption that harks back to Nazi Germany and reaches into the Gulf oil spill. With Dave and the force-of-nature Clete on the trail, there’s hints of superstition and religion, southern style, and plenty of friction; there’s a real-world sweat to this yarn that makes it hard to put down. It’s narration, so you know that Dave’s gonna make it, but the collateral damage brings in the suspense. 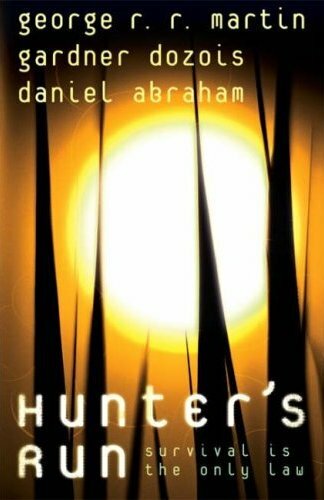 And the fact that this is Dave’s 19th adventure doesn’t matter at all; I picked up the novel and didn’t feel I’d missed a thing not having read the preceding titles, even though this begins directly in the aftermath of the previous, essentially part two of that arc. Rich back story and the relationship between Dave and Clete is the key, anchored in time and place that makes me wish once more for a beignet and cafe au lait and a deeper understanding of this fascinating part of the world. The Hobbit, or, Over the Top with Bilbo! Oh dear. This is what happens when you try to out-lord Lord of the Rings with a much simpler, shorter tale. The Hobbit has gone from a journey into maturity for young Bilbo, to a rip-snorting adventure with set pieces more at home on a Disney ride. Orcs! Goblins! Revenge! Admittedly, all the over-the-top derring do does help the almost three hours of movie pass more quickly than it feels, although it remains a tedious affair devoid of the warmth and suspense that the original three of Peter Jackson’s franchise mustered so very well. I lost count of the wonderful hair-dos sported by the dwarves. Was mildly glazed by the repetition of events from the other movies, such as summoning eagles with a whisper to a moth or an outstretched hand winning the ring toss. Was bemused by the lack of continuity of events in the Shire as depicted in Fellowship. And overall just a bit saddened that, to win the respect of his travelling companions, it wasn’t enough for Bilbo to be courageous and clever, but he had to kill something, too. Hobbit wasn’t a bad movie, just a dull one, with music, sound effects and scenery among the highlights. It finally found some emotional resonance with the interplay between Gollum and Bilbo, too little, too late. Where LOTR had me lining up for the DVDs — indeed, we just watched the extended versions again, a form of cleansing, perhaps — I won’t be dashing out for the Hobbit, and more’s the pity. THE movie Hitchcock is an absolute delight. It stars Anthony Hopkins, almost unidentifiable behind the dapper girth of the titular director, and Helen Mirren as his wife, Alma Reville, and either one is worth the price of admission. What a pleasure to watch these two conspire and joust! And there’s Michael Wincott, oh gravel-voiced villain who, should anything I write ever be made into motion picture, I would beg to have involved. Let’s break the usual casting and make him the damaged good guy, or least the damaged guy of ambiguous morality, up against, say, Edward James Olmos playing against type as the wily villain, or at least, the wily guy of ambiguous morality. But I digress. Hitchcock is the story behind the making of Psycho, financed by Hitch and his missus when Paramount said no. ‘They just want more of the same,’ Hitch says, or words to that effect. He’s having none of it. He’s bought up every copy of Robert Bloch’s book Psycho he can find just to try to preserve the mystery; he’s not going back to North by Northwest territory now. There’s so much to love in this tale. 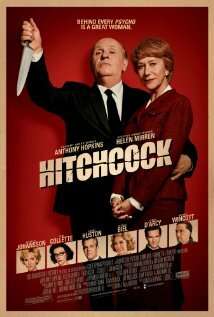 It’s cleverly dovetailed by what could be scenes from Hitchcock’s famous television show, starring a brilliant appearance by a crow; the performances are on the money across the board — yay too for Toni Collette bringing it home; and Hitchcock is portrayed with a degree of realism, both good and bad aspects of his character on show. Insights into the Hollywood machine and Hitchcock’s career are also very cool. There’s a clever score, too, and a final pun that made me chuckle and my wife groan; the movie hits extra heights in its attention to small details. Masterpiece is probably too strong a word, but it’s a damn fine character study of a fascinating couple making an extraordinary film; perhaps file next to Ed Wood. 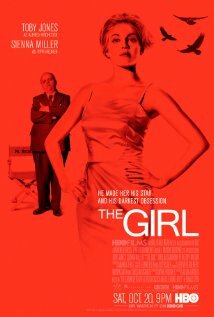 FOR contrast, you could check out 2012’s other Hitchcock movie, the HBO-BBC collaboration The Girl, a portrayal of the relationship between Hitchcock and his star Tippi Hedren of The Birds and Marnie. This is a much more grounded narrative, not quite as accomplished in its attention to details, and Hitchcock is a far less sympathetic character as he sexually harasses Hedren through the course of her two starring roles. The acting, with Toby Jones and Sienna Miller in the lead roles, is accomplished. It’s interesting to note, also, the difference in how the two movies depict Alma and Hitchcock’s PA, Peggy Robertson. The behind the scenes of the filmmaking work to illustrate Hitch’s spiralling obsession with his starlet, who gamely resists his advances, even after the trauma of five days of scratching, pecking and pooping on the set of The Birds. The attitude toward the director wanting his ‘cut’ in the industry is underplayed but condemning. Kind of glad we saw the films in the order we did, not only because of the chronological nature of them, but in the character-destroying depiction of the director offered by The Girl. The relationship with Alma is likewise given a new angle, and the closing scene’s parallel with a key scene in Marnie is so clever. Not quite up there with Hitchcock for focus, but worth the look as the other side of the coin. Or lens. Melbourne singer Wendy Rule played her last hometown gig last night before setting off for another northern hemisphere sojourn. She was backed by her usual band of William on percussion, Rachel on cello and husband Tim on guitar and Indian flute, though a guitar hassle meant Tim was sidelined from time to time. The 303 Club at Northcote was bunkerish, hot and intimate, with carpet on the sloping floor for the sitters and sofas around the walls that sported eclectic paintings that tagged this an alternative, innocuous venue. The sound was superb, controlled by Siiri Metsar who has produced previous albums for Rule and will be producing her next one, due to be cut mid-year. With just three new songs under her belt, Rule admitted she had her work before her, but expected her forthcoming trip to North America — including a week at the desert retreat that has already proven a creative space for her — to help fill the gap. Amid standards such as ‘Artemis’ and an impromptu ‘Hecate’ — the guitar refused to downscale for ‘Creator Destroyer’ — and ‘Deity’, Rule unveiled her three new tunes, at least one of them for the first time. 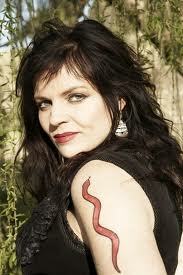 ‘Home’ carried a longing to putting down roots somewhere uncrowded; ‘After the Storm’ (I hope I remember this rightly) was a tour de force of swell and crash, mirroring the lightning storm and nature-scented morning after that inspired it; and ‘Black Snake’ was a ripping, pagan ode dedicated to the serpent leading not to expulsion but self-discovery and actualisation. Other songs on the night, spread across two sets and broken by anecdotes and personable chatter as stage fans were turned on and instruments misbehaved, included the infectious percussion of ‘Wolf Sky’, the gorgeous harmonies of ‘Horses’ and a capella ‘My Heart is like an Open Flower’, as well as several from her most recent album, Guided by Venus. This was a wonderful gig to start the year with, and one that offers the promise of a winning album to come if that desert country continues to weave its magic.